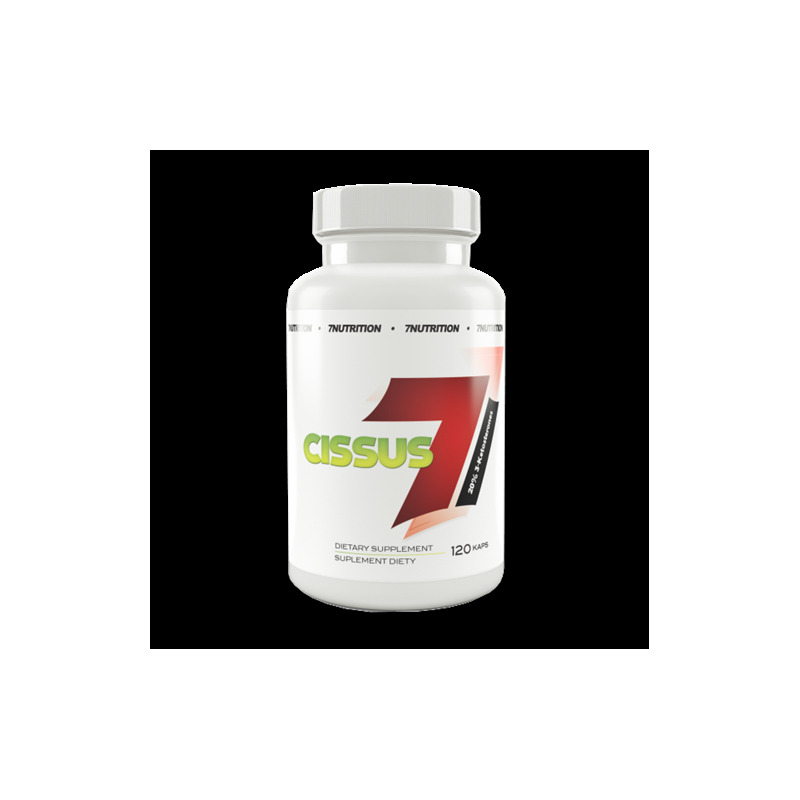 7Nutrition Cissus is a dietary supplement supporting the body in many ways. It improves the condition of tendons and joints (including bones; useful in fractures). Recommended for athletes and active people who have problems with tissue or under the prevention of injuries overload. 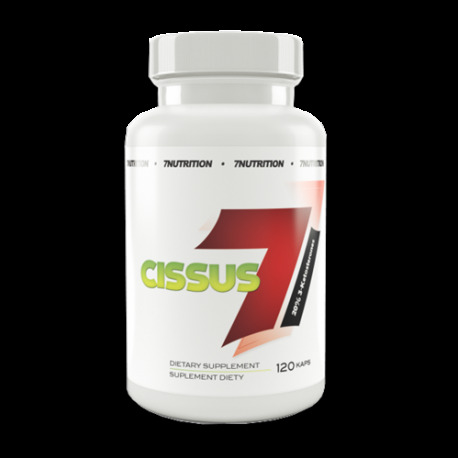 7Nutrition Cissus contains concentrated extract from the plant called Cissus quadrangularis, which active ingredient is ketosterone. These substances show similar activity to our natural anabolic hormones, however, they do not produce undesirable side effects. With 7Nutrition Cissus dose you receive 20% of kKetosterones. With such amounts of active ingredients, we are sure that the product will perform as efficiently as possible. Cissus quadrangularis supports the treatment of injuries related to the tendons, influencing early regeneration of tissue by activating fibroblasts and chondroblasts and providing nutrients to the damaged tissue. Cissus quadrangularis is a very good alternative to the often used in such situations (especially pains in joints and ligaments), non-steroidal anti-inflammatory drugs, which, taken in the long term, have many side effects. Cissus can help with the pain and the accompanying inflammation caused by trauma or injury. If you often suffer from pain in the joints, tendons or ligaments, then 7Nutrition Cissus is the best solution. Recommended usage: 2 capsules twice a day.